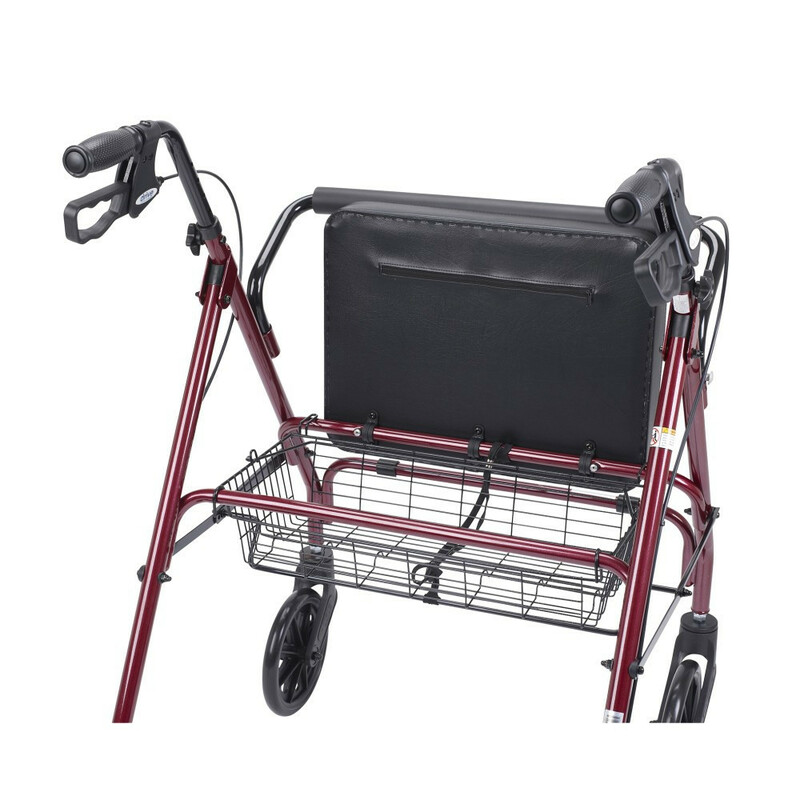 The Bariatric Heavy Duty Drive Go-Lite Steel Rollator Walker with Large Padded Seat has been developed to allow you to maintain your independence while still being able to navigate your surroundings safely and comfortably. If you experience limited mobility, poor balance, or fatigue you know how challenging and frustrating it can be to enjoy even the simplest activities with family and friends. 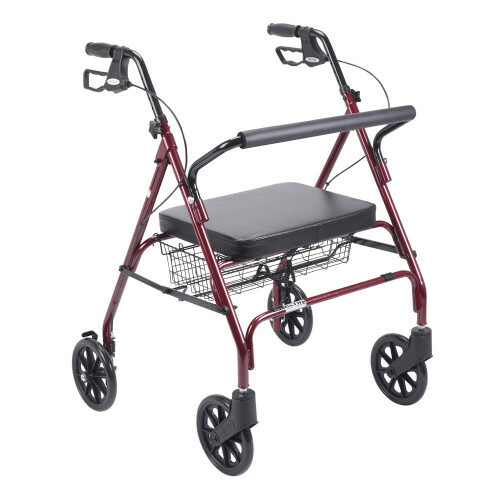 With four durable, solid grip tires, and 8-inch swivel wheels, this heavy-duty rollator is designed for both indoor and outdoor use. 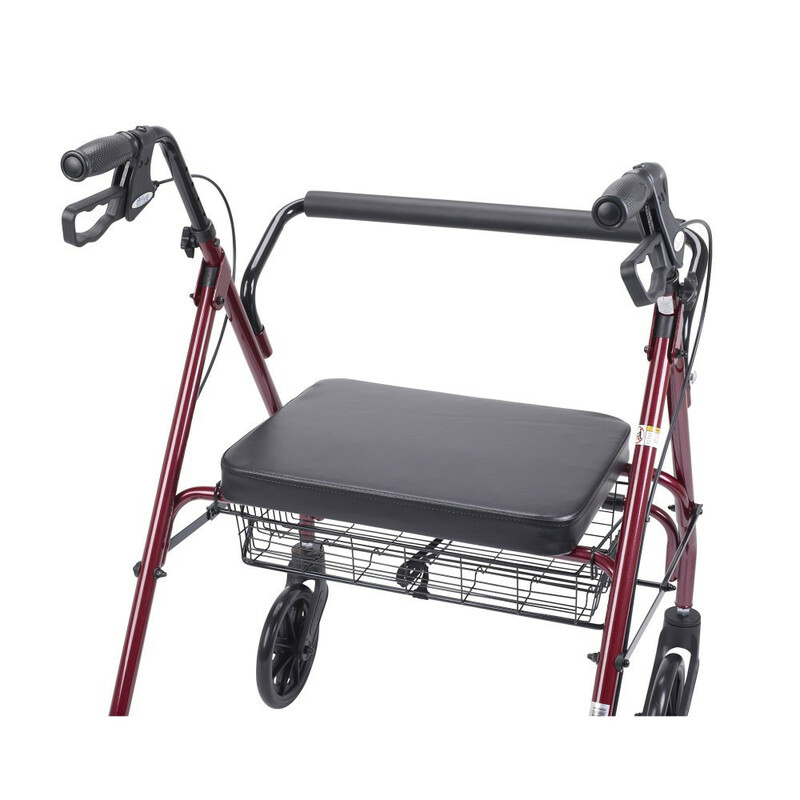 You can push this wheeled walker like a cart, instead of having to lift it to move forward like you would with a Standard Walker. Rolling your way back to being independent in comfort and style. 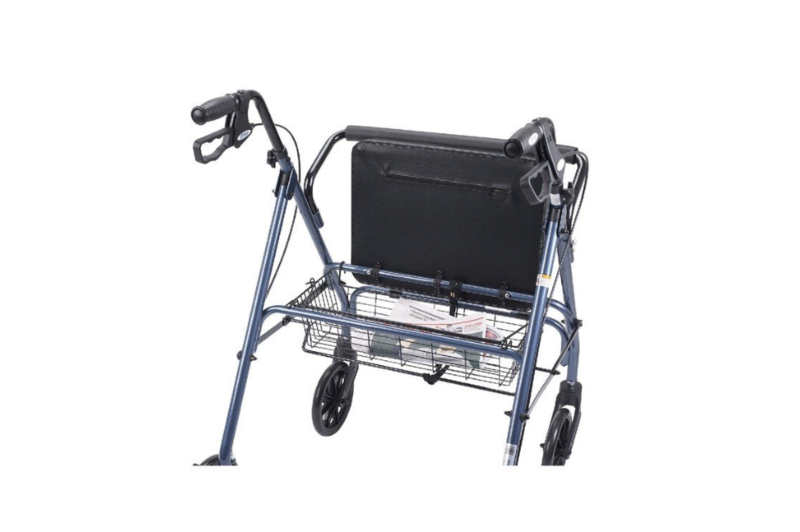 The Heavy Duty Bariatric Steel Rollator Walker with Padded Seat features a lightweight frame and can be easily adjusted to provide excellent support, stability, and comfort. For added flexibility, the crossbar for back support can be removed easily without the use of tools. A basket is located under the large padded seat allowing you to conveniently store all of your personal items securely. 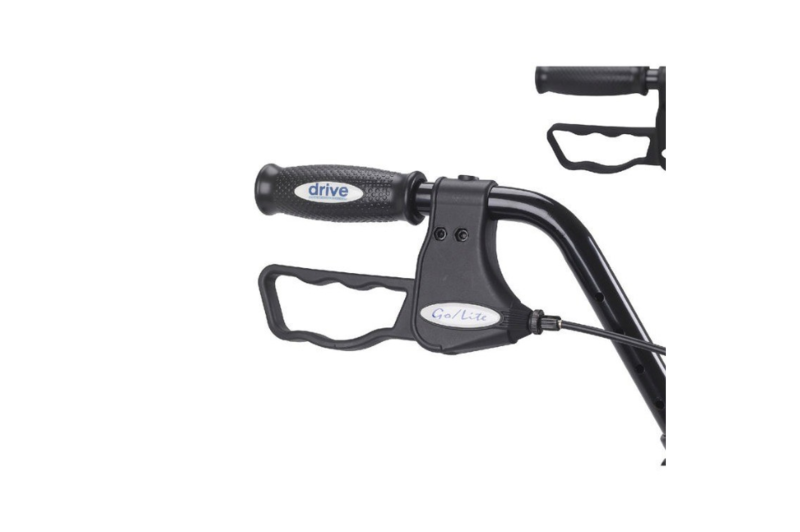 To prevent you from rolling too far away, the Drive Go-Lite Heavy Duty Steel Bariatric Rollator Walker with Seat is complete with a parking brake and a set of handlebar brakes. 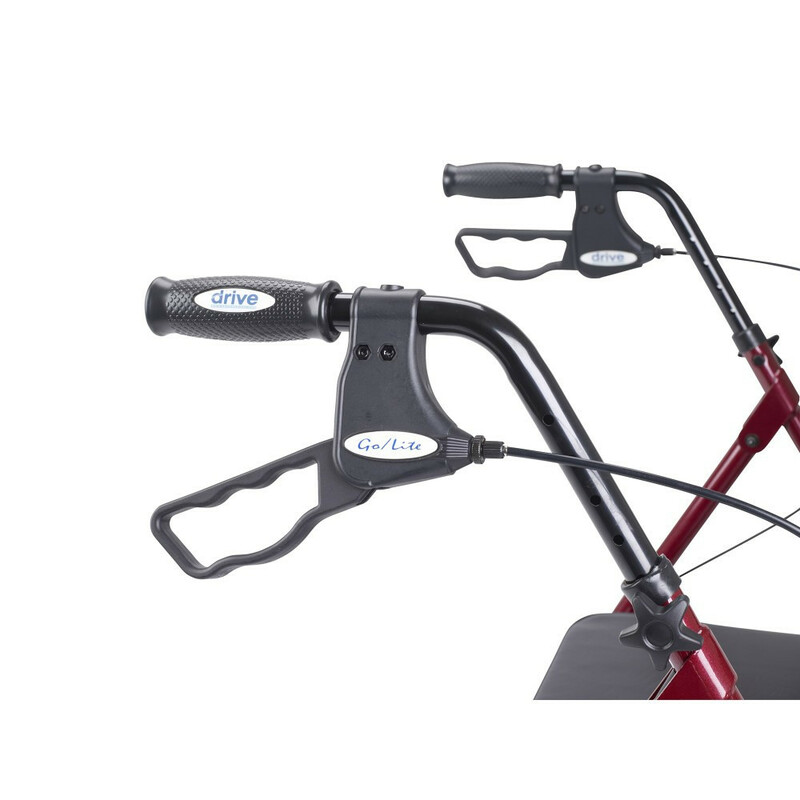 The handlebar brakes activate when you lift the handles in an upward position. 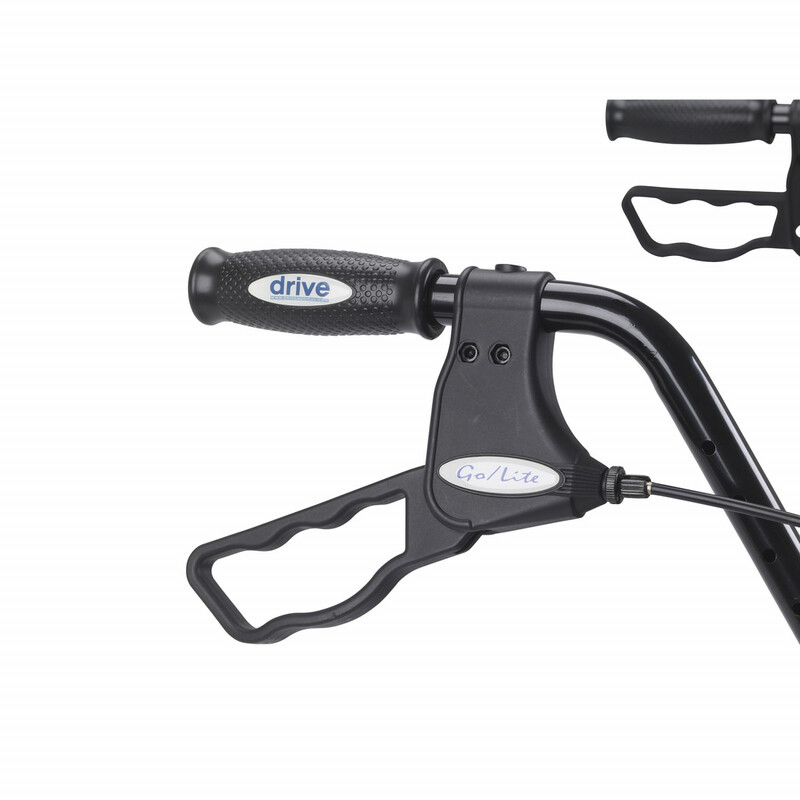 Similarly, the parking brake is engaged when you press down on both of the brake handles, and lock the parking brake in place. This prevents you from rolling away and allows you to stop and rest often and when needed. Product Catalog contains use and care instructions. Wheel size is 8 inches. If the item is still under warranty we may be able to process a claim on your behalf. Please feel free to call us at 800-397-5899 and speak with a customer service representative who will be able to help you. I need parts for the handle. 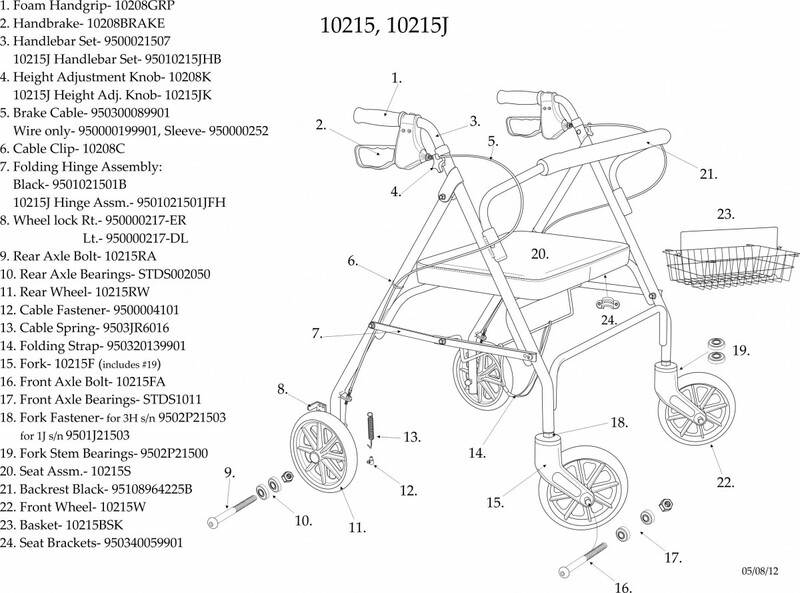 Is there a catalog showing parts for the model 65850 walker? We've added a parts chart for convenience. 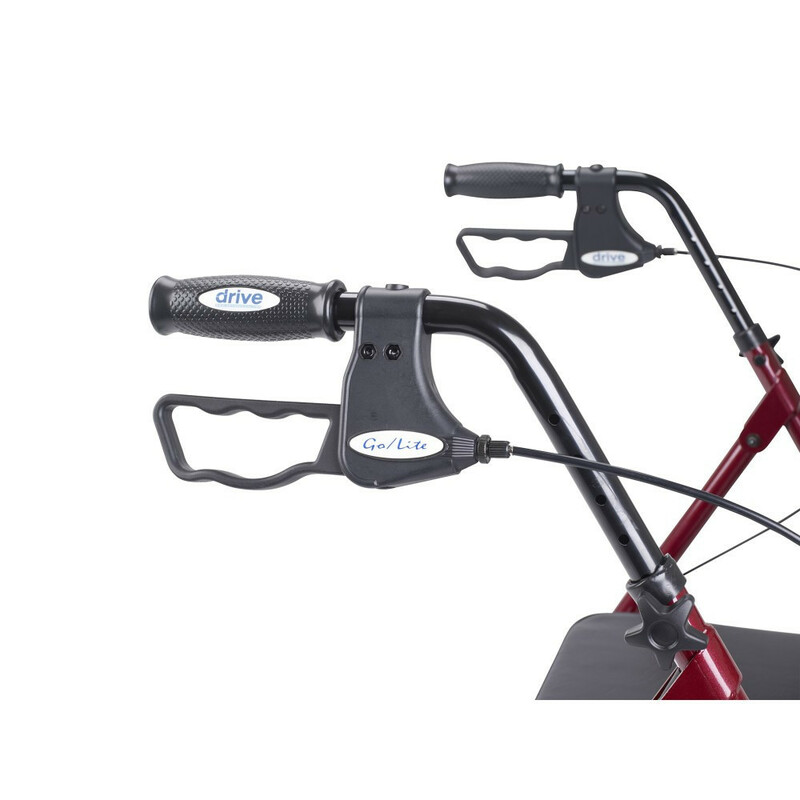 I purchased the Go-Lite Bariatric Steel Rollator with Loop Locks for my mother. 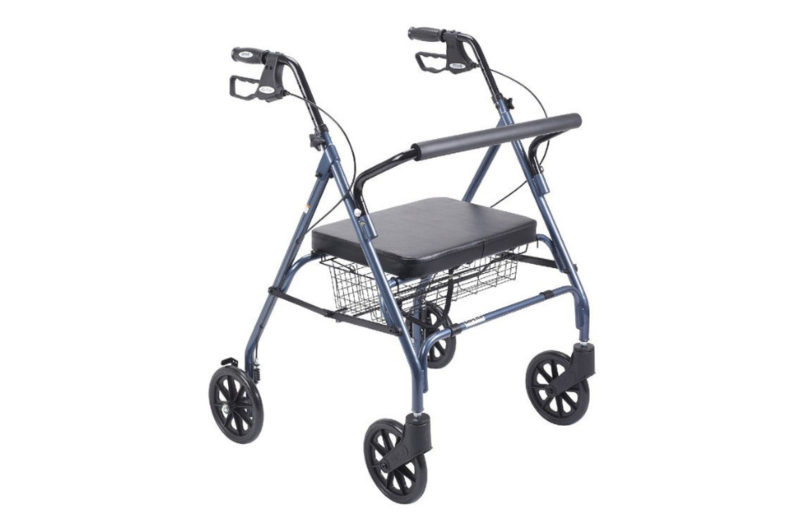 It is sturdy, well-built, easy to maneuver through doorways and around corners, and safely supports my mother on the cushioned seat. 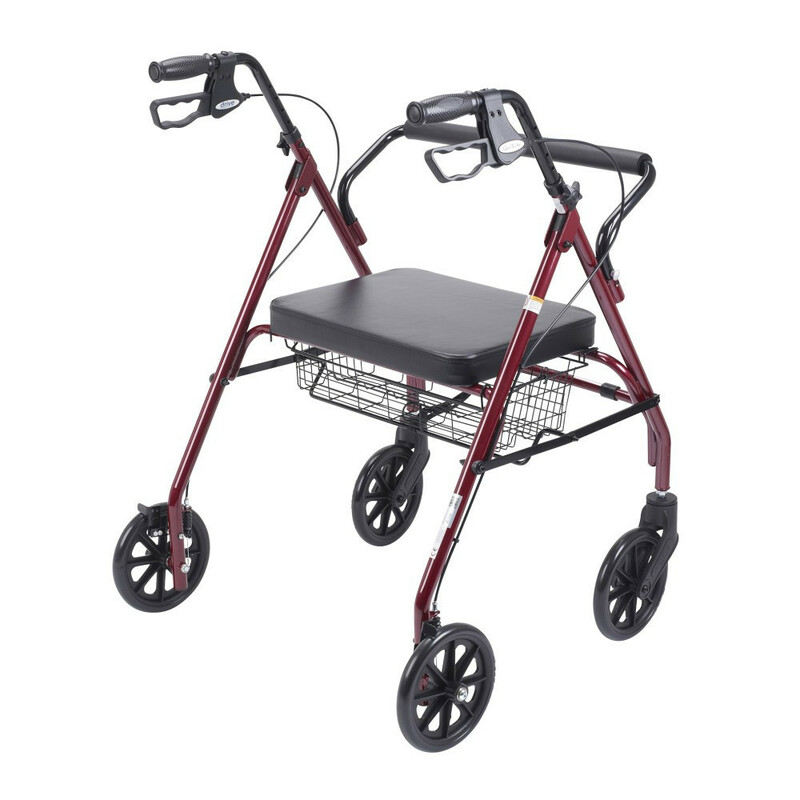 The large wheels and high handle bars with locks make it easy for her to stop and go with ease and encourages her to walk more than her old walker. She loves the cherry red color! She proudly shows off her new walker to her friends at church and to the neighbors and likes going to the mall now because she can sit on her walker and rest wherever she is. It is helping her to walk more which is what the physical therapists had been trying to encourage for some time. And her legs are already a little stronger as a result. 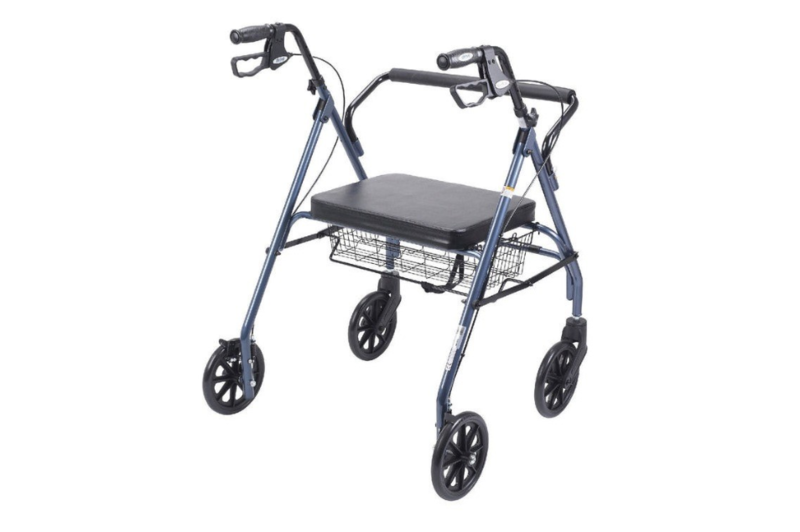 I am so thankful for the superior quaity of this rollator (walker) and for the help and support of Vitality Medical. I highly recommend it.